Have you ever wondered what makes cakes so soft & spongy? It is the magic of Raising agents also called as leavening agents. These are the key ingredients which make our cakes and other baked dishes soft and fluffy. Without this wonderful ingredient, we would never have our cakes and pastries as spongy & soft to the touch. Thanks to the experimentation and efforts of food experts since years, we have not just one but a range of leavening agents available. Some of the leaving agents are biological whereas others are chemical leaveners. There are also some mechanical leavening techniques available. Leavening agents are added to the batter before the dish is prepared or baked. The batter must be left for some time for the leavening agent to act on it and produce the ‘raised’ results. The basic work of any leavening agent is to create a foaming action which lightens and softens the batter. Leavening agents create air pockets into the batter by producing a gas. This makes the batter to rise & become fluffy. Often, the gas produced by the leavening agents is either carbon dioxide or hydrogen. It refers to the various strains of yeast which are used in baking of bread and other bakery products. The primary function of yeast is to convert fermentable sugars present in the dough into carbon dioxide and ethanol. 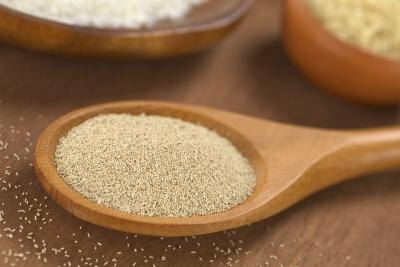 Baker’s Yeast is activated by adding it to a warm sugar water solution. The water must be warm & not too hot (which could kill the yeast) or too cold (which would not help in activating the deactivated yeast) Yeast growth can be slowed down or stopped using salt or some fats. The most popular drink in the world after water and tea is formed by the fermentation of starches mainly derived from cereal grains. Beer is also used as a leavening agent due to the presence of carbon dioxide in it. It is a carbonated drink available as an alcoholic and non-alcoholic beverage. 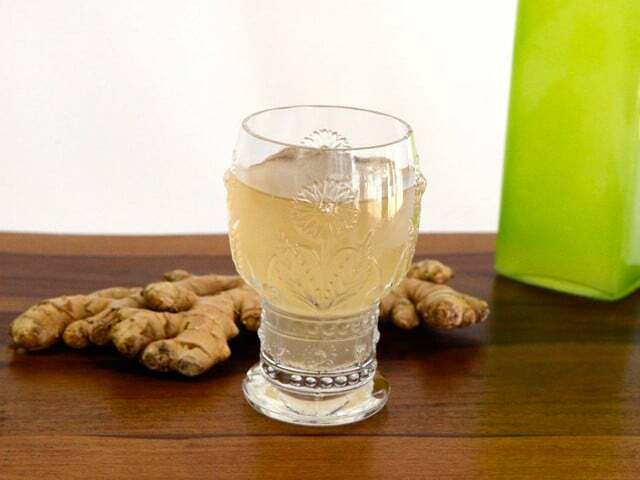 It is prepared by the natural fermentation of ginger, yeast and sugar. It can be used in baking and other dishes involving leavening due to the presence of carbon dioxide in it. 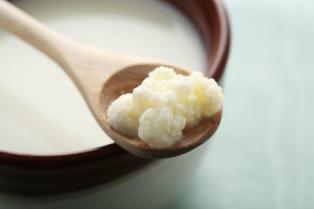 Kefir also called as Milk Kefir or Bulgaros is a fermented milk drink which is made using kefir “grains”. Mildly intoxicating, this sour, carbonated drink is similar in taste to thin yogurt. Due to the presence of lactic acid bacteria and yeast, Kefir can be used as a good leavening agent in cooking and baking. 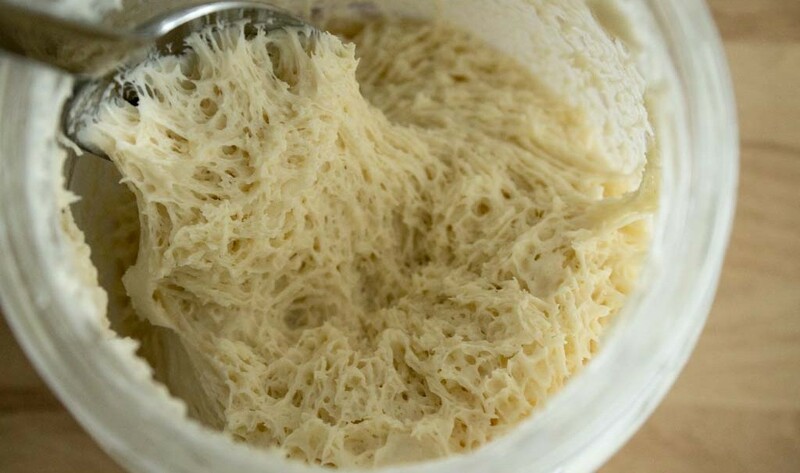 It is a form of bread made by the fermentation of dough using naturally occurring lactobacilli and yeast. It is mixed with flour to give the effect of leavening. The action of sourdough starters is slower than baker’s yeast and is generally not suitable for use in a bread machine. It is a fine white substance which reacts in the presence of liquid and heat, releasing carbon dioxide. Baking powder has a built in acid that activates it. Also called as Bicarbonate of Soda or Sodium Bicarbonate, a fine white powder consisting of a mixture of alkaline salts. It is manufactured by adding carbon dioxide to huge vats of water containing sodium chloride and ammonia. When the resultant sodium bicarbonate settles at the bottom, it is filtered, washed in cold water, dried and ground to a fine powder. 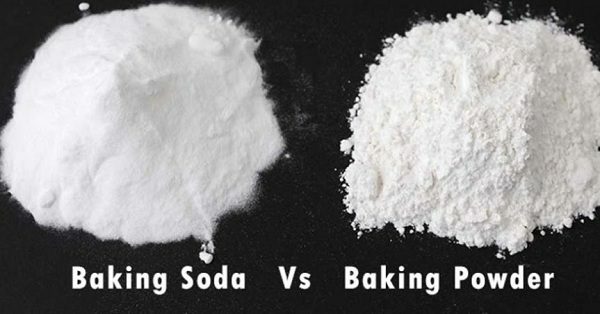 Baking Soda needs an acidic ingredient to activate it like molasses, honey, fruit/fruit juice, lemon juice, yoghurt etc. Steam can be used as leavening agents for cooking that is done at very high temperatures. The batter must be capable of holding in the steam until it is set. Steam gives the effect of leavening as it expands upon heating. This way of cooking is generally applied in popovers and Yorkshire puddings. Air is another leavening agent that can be incorporated by beating the batter thoroughly with Mechanical leavening agents. The trapped air expands upon heating. Creaming is also a leavening process where the sugar crystals are beaten together with solid fat. The sugar crystals cut through the structure of the fat integrating tiny air bubbles into the mixture. This process of leavening is mainly done in cookies. 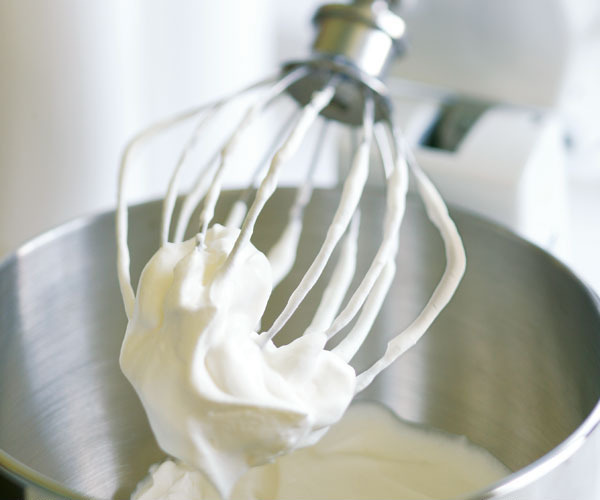 Whipping or Whisking is also a process of leavening where cream or egg whites are whisked vigorously to create a foaming action. This process is usually done in the making of sponge cakes.